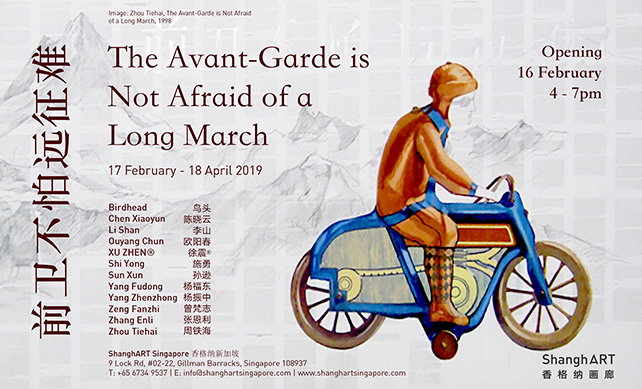 The group exhibition The Avant-Garde is Not Afraid of a Long March features works from Birdhead, Chen Xiaoyun, Li Shan, Ouyang Chun, XU ZHEN®, Shi Yong, Sun Xun, Yang Fudong, Yang Zhenzhong, Zeng Fanzhi, Zhang Enli, and Zhou Tiehai. While the seemingly disparate mixture of works by pioneer and younger generation artists defies linearity, their individual breakthroughs and progressions chart the evolution of Chinese contemporary art through the years. Taking its name from the title of Zhou Tiehai’s piece, the exhibition is a remark on the unwavering spirit of breaking norms and traditions in artmaking, while also highlighting perseverance as an integral part of the process.